Discounting recent news, Rogue One offered a promising start to Lucasfilm’s planned slate of Star Wars anthology films in 2016. So it only makes sense that one of its most beloved characters, Cassian Andor, would return to the universe’s live-action realm. The official Star Wars website has just announced that the Rebel Alliance spy will headline his own TV series for Disney+. Hopefully, we can also expect an appearance by Cassian’s scene-stealing sidekick, K-2SO, as voiced by Alan Tudyk in Rogue One. In the film, K-2SO was an Imperial protocol droid who was reprogrammed by Cassian to serve the Rebellion. This series presents a unique opportunity to depict the first meeting between Cassian and his droid. Although, one of Marvel’s Rogue One prequel comics offered its take on that fateful occasion. 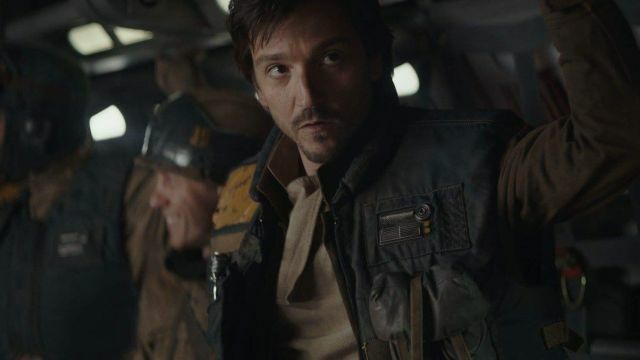 Disney+’s Cassian Andor series will go into production next year, but no release date is set. Are you excited to see Diego Luna return as Cassian? Tell us what you think in the comment section below!